You’ve decided to enter the world of truck driving! You’ve made a smart decision as this is a field of high job security and a vast array of opportunities and adventures. As the number truck driver job opportunities continue to grow, those in the industry will see growth even in times of economic and social recession. This is because all types of goods from clothing to food automobiles must be moved across our country every day. And as the demand for goods increases, more truck drivers will be needed. The driver shortage gap is closing and several sources are reporting that the turnover rate is not as high as it once, meaning that the competition is becoming somewhat stiff. Though there are a plethora of opportunities in the commercial driving industry, it’s crucial that drivers receive the best initial training in order to get on the right track. In order to obtain your Commercial Driver License (CDL), you must be 18 years of age. In order to deliver to multiple states, however, one must have a CDL and be 21 years old to drive across state lines. You’ll be required to take and pass a Department of Transportation physical exam to obtain your license. Truck drivers are also required by law to speak, read and understand the English language sufficiently enough to communicate with others. Additionally, your driving record matters and you may want to review your history before putting down money to get your CDL at a trucking school. Convictions for reckless driving, drugs, alcohol or excessive speeding may disqualify you from working as a truck driver. Most schools will screen for these issues before approving enrollment. In order to drive a commercial vehicle, your first step is to acquire your Commercial Driving License through the Department of Motor Vehicles in your state. This requires taking and passing both the knowledge and skills tests.The skills test alone has three parts: Practical Skills Examination, the Vehicle Inspection Test, the Basic Controls Test, and the Road Test. These exams are intense and require specialized education.Your best chance of achieving a passing score is to attend a school specifically geared toward CDL training. While some drivers may opt for a community college program to gain their CDL, others will go with the more standard option of a commercial driving school. But how do you choose the best commercial driving school for you? 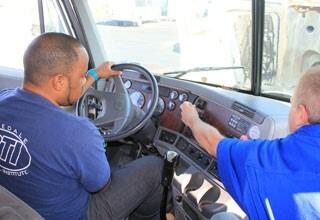 The decision of a trucking school will have a significant impact on your driving career. Not all are equal in what they offer, what they teach and what they accomplish. Here are seven key things you should consider before selecting your driving school. 1. How Long A School Has Been In Business. It is useful to do research and determine when a truck driving school first opened its doors. The longer a school has been around and the more students it has worked with, the clearer it becomes that the school is a stable operation and that you can probably trust it. The Midwest has offered CDL-specific schools for decades – those in Wisconsin may feel very confident in the validity of a school in their area. 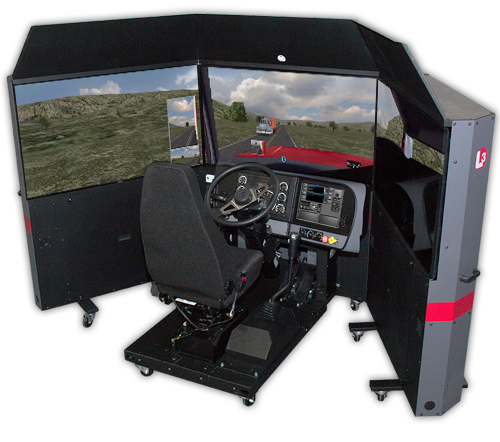 Also, it helps to check to see that the truck driving school has professional memberships such asAmerican Trucking Association and the Commercial Vehicle Training Association. 2. Accreditation - An accredited school is held to the absolute highest standards, meeting specific regulations and policies. It must be approved by an agency designated by the U.S. Department of Education. There are only a handful of trucking schools in the US which are accredited. 3. Certification – Since 1989, the Professional Truck Driver Institute has been certifying trucking schools. PTDI certified schools are those that have been fully inspected by a third party and passed the stringent training standards set forth by this organization in regards to skill performance and curriculum. 4. Licensed by the State - A school which is licensed has met the minimum state requirements for an educational experience including a well-rounded curriculum, facilities that are conducive to learning, training programs that are comprehensive and that promote safety, instructors that are well-trained, and other regulatory factors. 5.Driving Hours - Drive time is the amount of time one spends behind the wheel driving the truck. It does not include observation of others driving, pre-trips or simulator time. It is one of the most important factors when considering a school. Most experienced drivers believe that there should be a minimum of 32 hours before taking any CDL road test while others believe 44 hours is necessary to pass the test. Drivers in Florida, for example, may want to earn more hours, considering the major highways and complicated road systems they may tackle on the road. 6. Ratio of Students vs. Instructors - The lower the student to teacher ratio, the more individualized and personal training you will receive. Ideally, the school you choose a teaching institution that has no more than four students to an instructor. Some schools have instructors who roam from group to group. This can be detrimental to your training since there is no immediate correction if you are making an error. Federal and state trucking rules and regulation. 7. Job Placement Assistance. The main objective of attending a CDL training school is to get a full-time job after passing the CDL test. A school should have a good reputation in getting their students placed in a trucking job once they have obtained proper license to work in the field. A vital question to ask before signing a contract with a truck driving school is the percentage of graduates who have been placed in a company that is advantageous for both parties. If they cannot answer or refuse to answer, you may not be in the right place to receive job placement support. Some schools will have more difficulty than others in assisting with job placement. It’s unlikely that a program in Texas will have any shortage of potential jobs. A reputable institution will have relationships with various carriers and, at the very least, will be able to help you get your foot in the door. While no school can guarantee you a trucking job, they can (and should) provide you with resources and guidance in finding one after graduation. The shortage of drivers mentioned earlier means that there are positions available for qualified individuals who are willing to commit to hard work. Perhaps as equally important in getting your commercial driver’s license is the cost of a training program. Not only will you be paying for time behind the wheel and classroom instruction, but there may be hidden fees for materials or permits or some other part of the curriculum. An accredited school is going to cost more than a licensed school, so you have to keep this in mind when choosing where to get your instruction. In most cases, you can expect to spend anywhere from $3000, up to near $10,000 in order to attain your training and your commercial license. Some people choose their CDL training based on the price, but the old adage of “you get what you pay for” applies.Cheaper doesn’t mean better. You do not want to have to take the series of CDL tests more than once if you don’t have to. Explore schools that offer you a guarantee that either you will pass on your first attempt or they will provide additional training at no cost if you do not pass the exam the first time around. Most importantly, be wary of any CDL trucking school that offers free training because there is almost always a catch or hook in the long run. Trustworthy schools offer financing options to pay for tuition. There are often installment plans that make the cost for instruction easier to handle. Financial aid is also possible for CDL schools, which may surprise many people. Applying for financial aid through Federal Student Aid is where the government subsidizes some of the loan cost. There is also the Pell Grant that, unlike a loan, if you are qualified, the money doesn't need to be paid back. There may be other grants or scholarships available in your local community – The Bog Grant in California may apply in certain circumstances. There are also non-tangible costs such as the time commitment to attending school. CDL school can last anywhere from 2 to 14 weeks, depending on the type of school you attend (public, private, carrier, etc.) and whether you attend several days a week, at night or on weekends. Work/life balance such as time away from friends, family, and a current job must also be considered. Most schools will require you to sign a contract for your training. This agreement will outline what the school will offer you, and what the school expects in terms of payments. So take the time and due diligence to do your research. A good CDL training school will prepare you for more than just the commercial driving license exam; it will prepare you for a long and successful career in the truck driving industry.